September 16, 2011 - GE Aviation today announced the opening of the new Electrical Power Integration Center (EPIC) in Cheltenham, UK. The 30,000 sq. ft. facility is located on the GE Aviation campus in Bishops Cleeve, Cheltenham. "Electrical power engineers and technicians at the Center will develop some of the latest end-to-end power generation, distribution, load and avionic control technologies," said Lorraine Bolsinger, president and CEO of GE Aviation Systems. "GE is focused on innovation. GE's employees worldwide are dedicated to turning innovative ideas into leading products and services that solve some of the world's toughest problems." The center has a substantial electrical infrastructure, designed with flexibility and configurability in mind. Industry leading laboratory design techniques have been adopted to ensure it is a highly expandable and adaptable facility. The Center has state-of-the-art power sources, data acquisition and electrical load equipment. "In keeping up with the demands of More Electric Aircraft, this facility will provide the resources to test complete aircraft electrical systems," said Simon Linacre, European Power business executive for GE Aviation Systems. "By expanding our electrical power modeling and simulation capability, we are better able to serve our customers by predicting how aircraft and hybrid vehicle electrical systems will perform. This enables us to correct problems before hardware is even built, decreasing development time and improving on-time delivery of new aircraft and vehicles." The EPIC laboratory will benefit the wider aerospace supply chain by ensuring third-party access to world-class facilities, while engaging with leading researchers based in the region's universities. The South West Regional Development Agency is providing a capital grant of ? ?3 million in support of the Center. This grant is part of a collaborative R&D project through the South West RDA and the Technical Strategy Board. Users of the center will have access to 3M Watts of input power to run their applications. The facility will enable the development of the latest end-to-end power generation, distribution, load and avionic control technologies for military and civil aerospace applications. GE's electrical power technology path supports coming generations of commercial air transports, business and regional jets and future military strategic and tactical programs for both manned and unmanned applications. In April this year, GE Aviation broke ground on an Electrical Power Integrated Systems Research & Development Center near Dayton, Ohio USA. 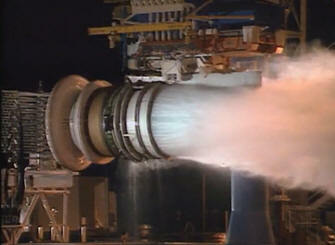 GE expects operations in the U.S. to begin in 2013. Both of these new facilities will add to GE Aviation's leading research and development capabilities, which are focused on finding solutions to some of the world's toughest challenges. GE Aviation, an operating unit of GE, is a world-leading provider of jet and turboprop engines, components and integrated systems for commercial, military, business and general aviation aircraft.